An urban mystery unfurls as one man pieces together the surreal meaning of hundreds of cryptic tiled messages that have been appearing in city streets across the U.S. and South America. Two individuals, Jeff and Kelly, claim to be in love with the 80's pop singer Tiffany. A year in the life of the White family, well known for Jesco White, the star of the "Dancing Outlaw" documentary. A documentary on the Jejune Institute, a mind-bending San Francisco phenomenon where 10,000 people became "inducted" without ever quite realizing what they'd signed up for. When two friends tape-recorded the fights of their violently noisy neighbors, they accidentally created one of the world's first 'viral' pop-culture sensations. The remarkable story of The Weather Underground, radical activists of the 1970s, and of radical politics at its best and most disastrous. Explore the disturbing story of one of America's most wanted fugitives, Robert Fisher. Following the brutal murder of his family, Fisher went missing in 2001 - years later, his whereabouts remain unknown. 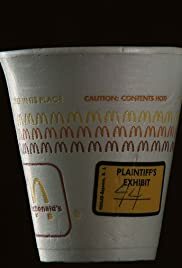 I can't top Variety and the Washington Post, but I can tell you "Hot Coffee" is an unbelievably informative story that questions the governments true intentions when it comes to tort reform and the mandatory arbitration argument. I loved it and I hope you do to!